Tiny babies, born prematurely (early) or very sick are in need of constant care. It is an emotional experience for parents but our doctors, nurses and support staff are there to help them every step of the way. Including our families is also really important. 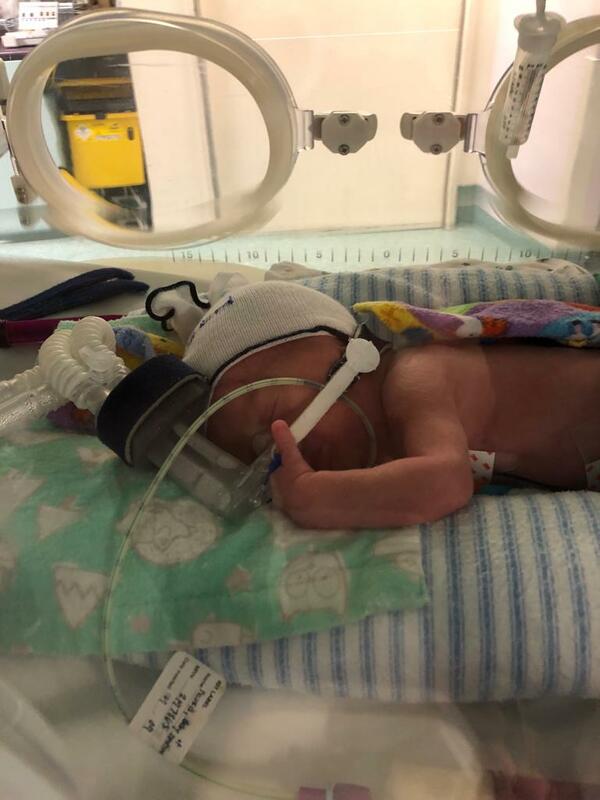 “Having a baby in the NICU doesn’t mean you can’t touch your baby and doesn’t mean you can’t be involved in changing the baby’s nappies and bathing the baby,” said Dr Mark Greenhalgh, a neonatologist in RPA’s NICU. Many babies receiving care in the NICU will be in hospital for a long time. Staff like to make this special for families by celebrating things like their 100-day “birthday”. Justina Francis gave birth to baby Franklin when she was only 27 weeks pregnant. “It was all a very terrifying experience, being our first pregnancy and not knowing what to really expect,” said Justina. It took 14 weeks in hospital before Franklin’s parents were able to take him home. “I look back at our experience and think how very, very lucky we were to have had Frankie at RPA,” said Justina. To find out more about the NICU at RPA click here. If you would like you support the NICU unit by giving your time or by making a donation, please click here. A neonatologist is a medical professional who specialises in caring for newborn babies, especially babies who are born early or who are sick.